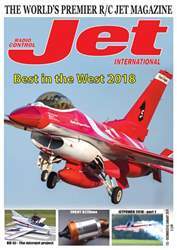 This special issue of RC Jet International features 10 brand new on-test reviews of the latest turbine engines from the world’s top manufacturers. 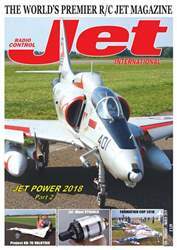 In addition, it includes six previously published tests conducted by the RCJI test team, making this an invaluable 'all in one' compendium to the jet modeller looking to choose a new engine, or purchase a second hand one. In addition to this, there are also articles written by highly experienced jet pilots on the correct installation of engines, along with lots of tips and information on 'do's and don'ts' when operating a turbine engine. Subjects such as the use of FOD guards and jet pipes will be covered and their possible effects on engine performance will also be covered. 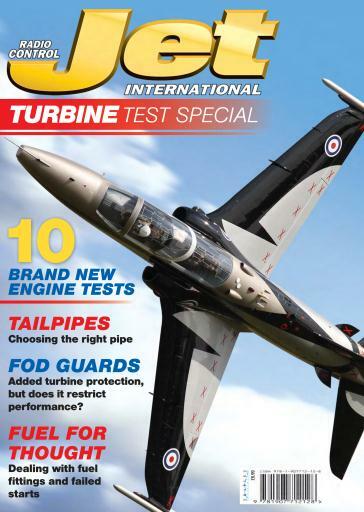 • Fuel for thought – Dave Wilshere, one of the UK’s top show pilots offers some advice on dealing with fuel fittings and failed turbine starts. 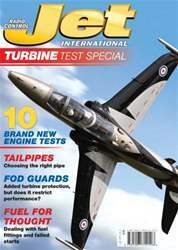 • Tailpipes – Could the choice of tailpipe make a difference to your turbine’s power output? • FOD guards – The added turbine protection given by a FOD guard is widely heralded! But does it restrict performance? 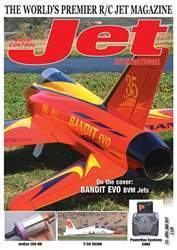 This is a must-read addition to any Jet modeller’s library!